The Riverside Collection from Watermark Living™ is not only elegant and extremely durable it is one of our most versatile collections to date. It is constructed of synthetic wicker weave over aluminum frames ensuring it's durability and resistance to weather conditions of any kind. The Riverside Collection can be configured to suit any size outdoor space for home or commercial needs. 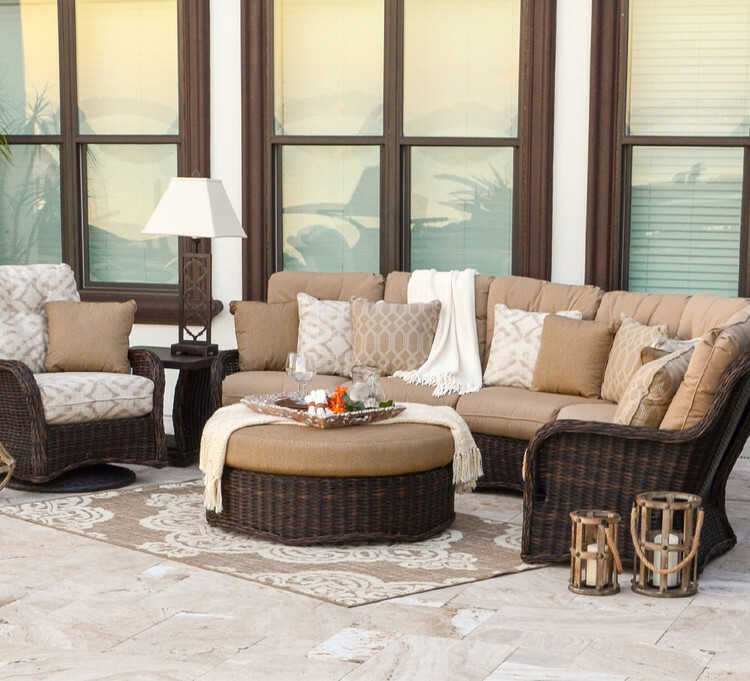 Pair with one of our fire pits for optimal enjoyment and design.